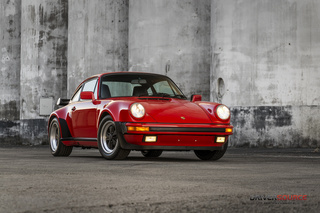 The Turbo-Look 911s were built in limited numbers as an upscale option to the standard Carrera. 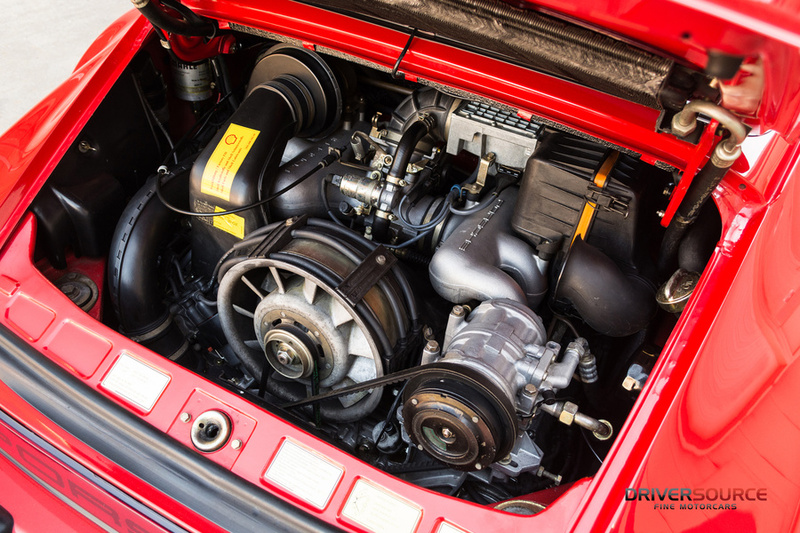 The M491 package entailed a Turbo body, brakes and wheels, fitted with a naturally aspirated Carrera engine and suspension. 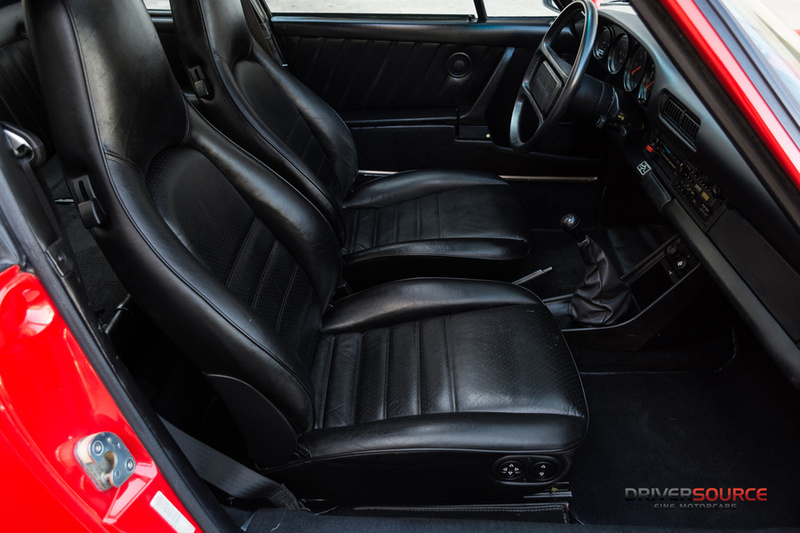 As one of just 213 M491 Carrera Coupes imported to North America, this exceptional example was completed on April 26, 1985 and sold new to its first custodian in Ardmore, Oklahoma (via Southpoint Porsche/Audi in Houston, TX), wearing Guards Red (G1) paint over Black Leather (VD) upholstery. Optional equipment included US Standard emissions, Steering Wheel with Raised Hub, Blaupunkt 'Monterey' radio, central locking system, Automatic Heating Control, Comfort Seat – Right, Cruise Control, Turbo Look ($11,760 option), Electric Sliding Sunroof & Pirelli Tires. WP0AB091XFS120623 spent the majority of its life under single fastidious ownership in Oklahoma, eventually changing hands in 2010 to Van Nuys, California. With just 20,500 documented miles, this Carrera remains completely numbers-matching, in stock configuration, including trim upholstery, Blaupunkt Monterey radio and emergency accessories. Matching identification tags are still adhered to the door jambs and underside of the hood, while the undercarriage is nicely detailed, paring well to the engine bay. 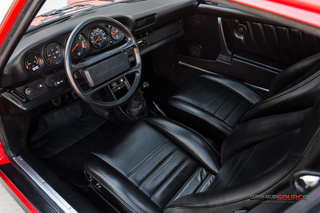 Recently the Turbo Look received a new dash pad in leather by order of its previous fastidious care taker. 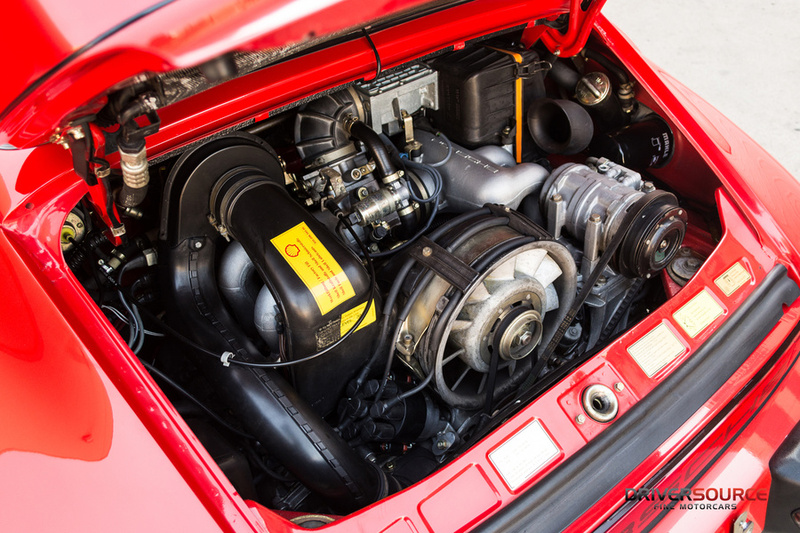 The motor, transmission and electronics, operate as expected from such a low mileage and pampered car. 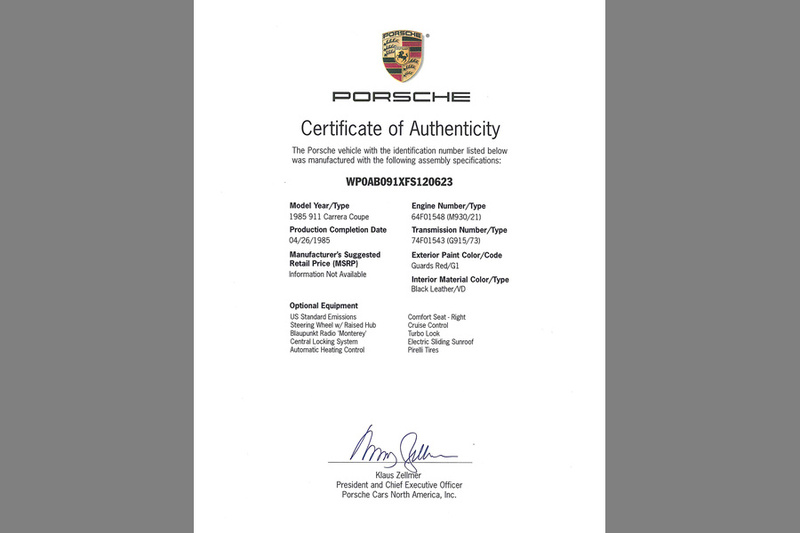 The 911 received a thorough mechanical freshening in mid-2015, or about 500+ miles ago with all records on file, along with a December 2017 multi-point inspection, including all new 205/55ZR16 and 225/50ZR Porsche N-Spec, Pirelli P-Zero System Direzionale tires. 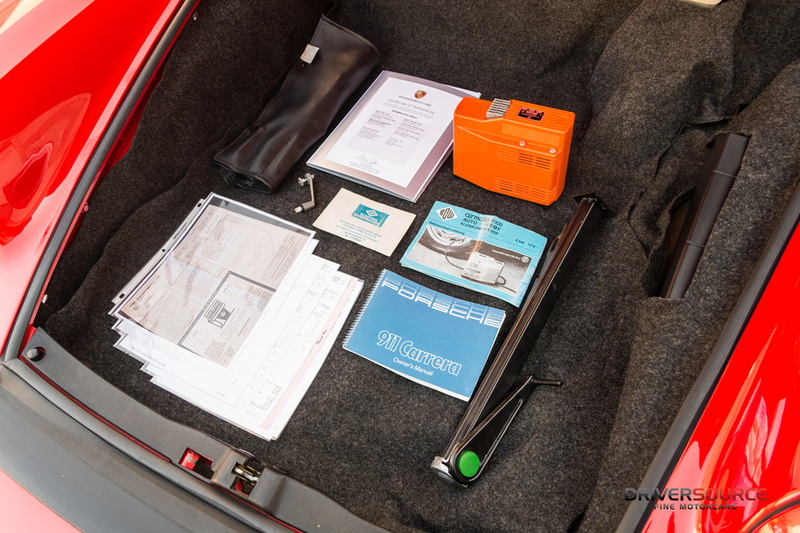 The Carrera is complemented by its original Owner's Manual, Tool Kit, Jack, date stamped Spare Tire, Airmate Compressor and emergency sunroof crank. 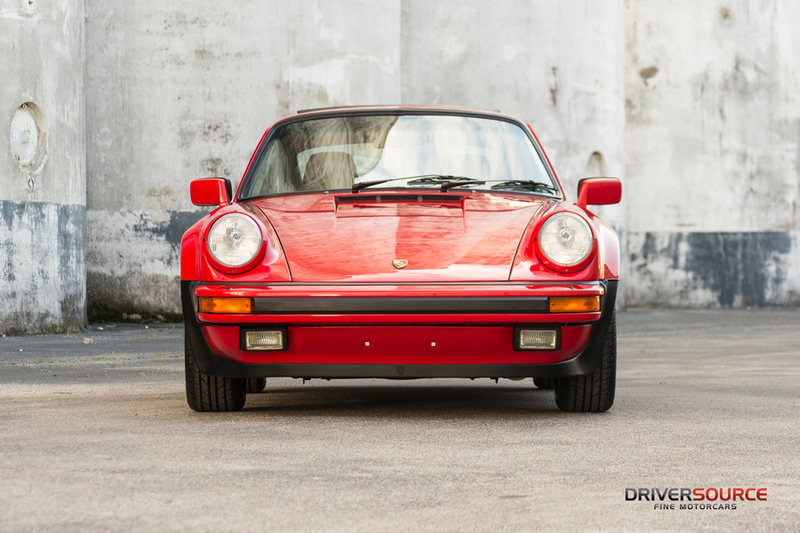 The collectability of 3.2 Carreras continues to develop as more enthusiasts value the model's everyday drivability and nostalgia paired with modern amenities. 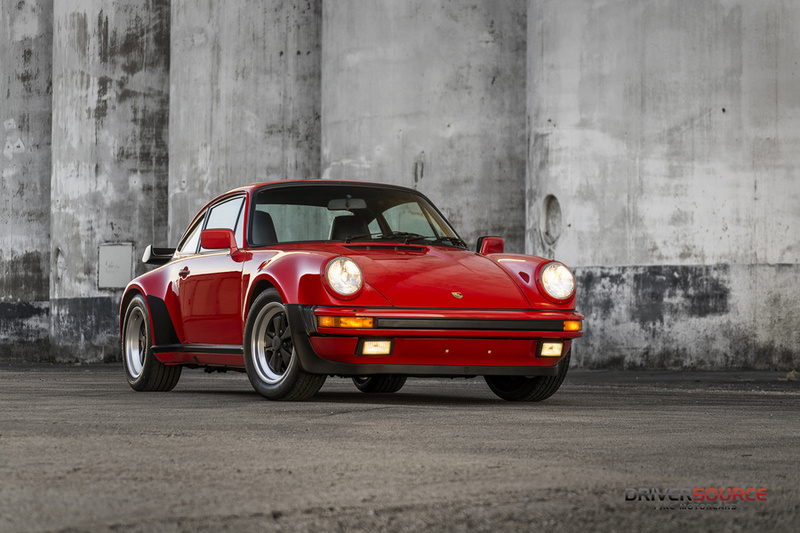 Over the years, many M491 911s were sacrificed as track cars, prized for their bulletproof, naturally aspirated engines paired to aerodynamic bodywork. 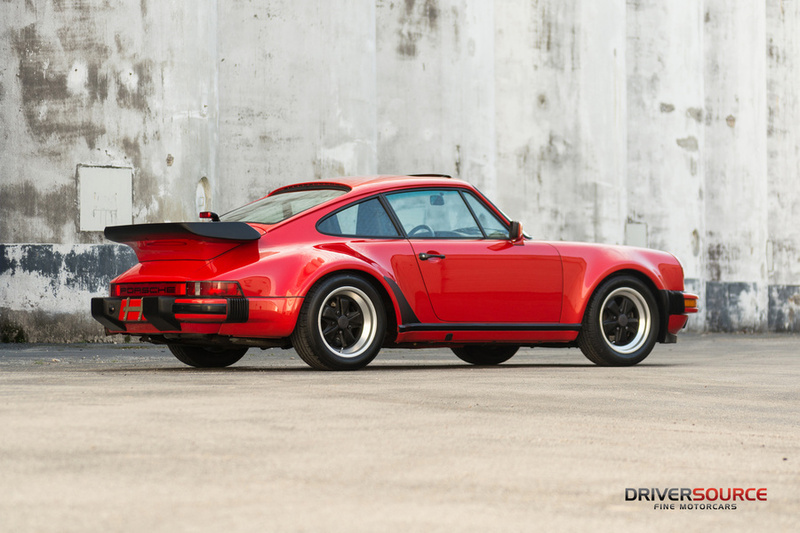 This already rare wide-bodied example is made even more scare in its incredibly low mileage and unmolested form. 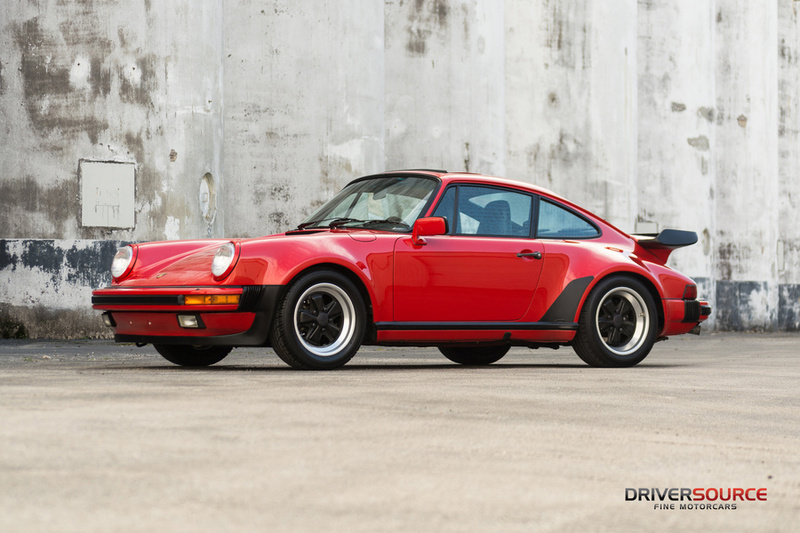 Now available for Worldwide purchase and delivery, we offer this exceptional 1985 Porsche 911 Carrera Coupe.